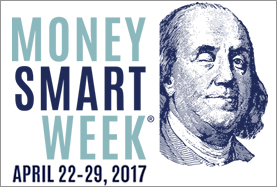 Money Smart Week is April 22-29 this year, and Zach S. Henderson Library is helping you get money smart, with two great panels where the topic is – MONEY! Are you a financially-challenged college student? If so, you’re not alone! 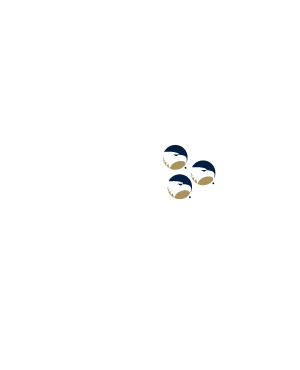 Learn from the ups and downs of GSU junior and seniors Nigel Brown, Keyani Loftin, Joshua Johnson, and Miranda Swaim as they share everything they wish they’d known about money, credit, and how to manage it on their own. While you’re there, pick up savvy spending tips from Monica Van Wagenen, who has spent years living comfortably in second hand shoes. Tuesday, April 25 – 2:00 p.m.
You and Your Money: Who’s Using Who? Is the relationship with your money on the rocks? It doesn’t have to be. There’s help! Be informed by the experts: Synovus Trust Financial Advisor Molly Sisson, GS Finance Professor Dr. Allissa Lee, and Wells Fargo bankers, Shonda Wilkerson, and Shante Clesca. They will be on hand to provide thoughtful counsel and care regarding credit cards, student loans, debt, savings, and planning for your future. That’s right, they can get you and your money happily back together. For good! Wednesday, April 26 – 11:30 a.m.